I spend way too much time at the popular thrift shop in Plaza Midwood Buffalo Exchange. 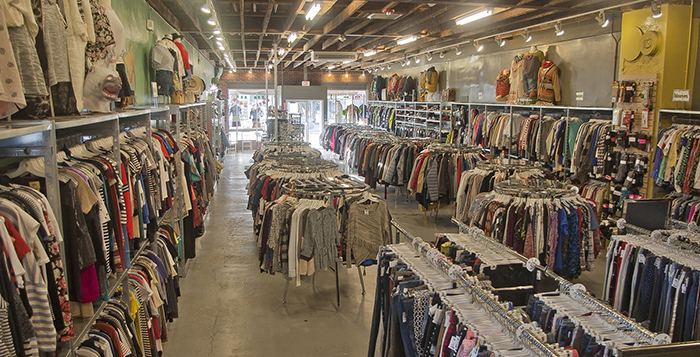 Buffalo Exchange buys and sells pre-loved clothes from select brands. We’re talking heavy hitters of hipness, like H&M, Forever 21, Converse, and Nike. 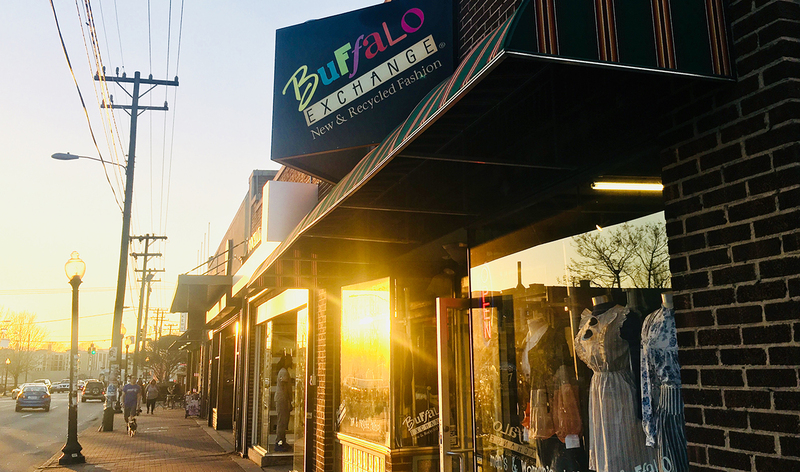 Buffalo Exchange’s proximity to the cultural heartbeat of the city brings in a constant rotation of sellers. This means you’re going to encounter cooler finds and better deals more often than your average thrift store. 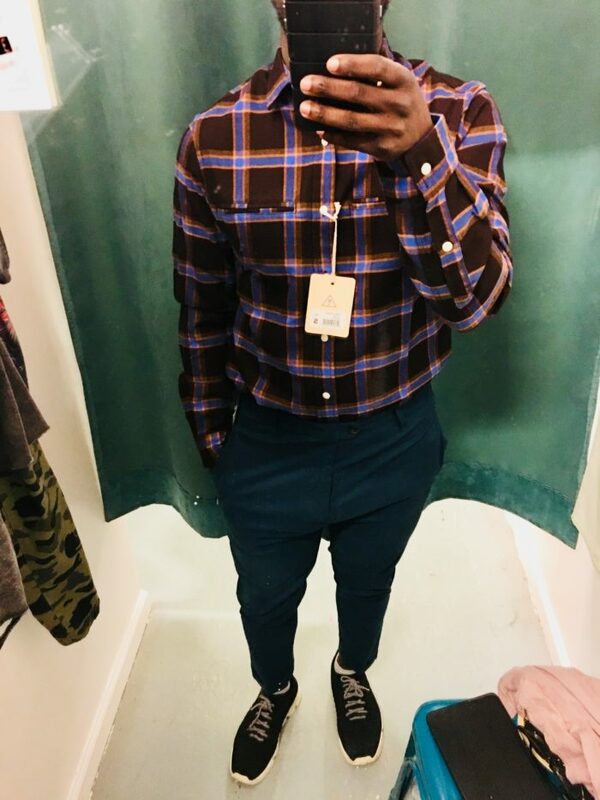 Buffalo Exchange comes across as guy-friendly as well. 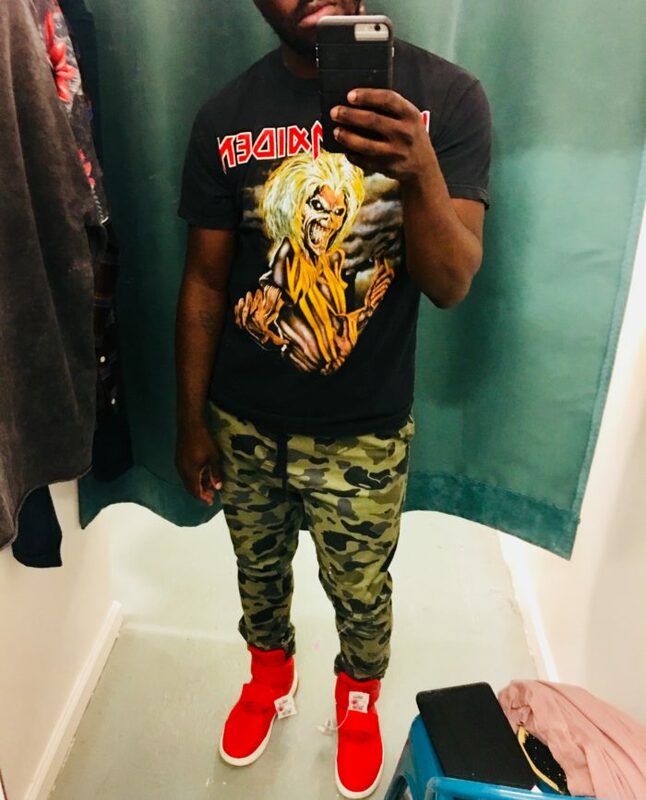 Probably half the people there on a given day are guys shopping with other guys, which is rare for any clothing retailer. 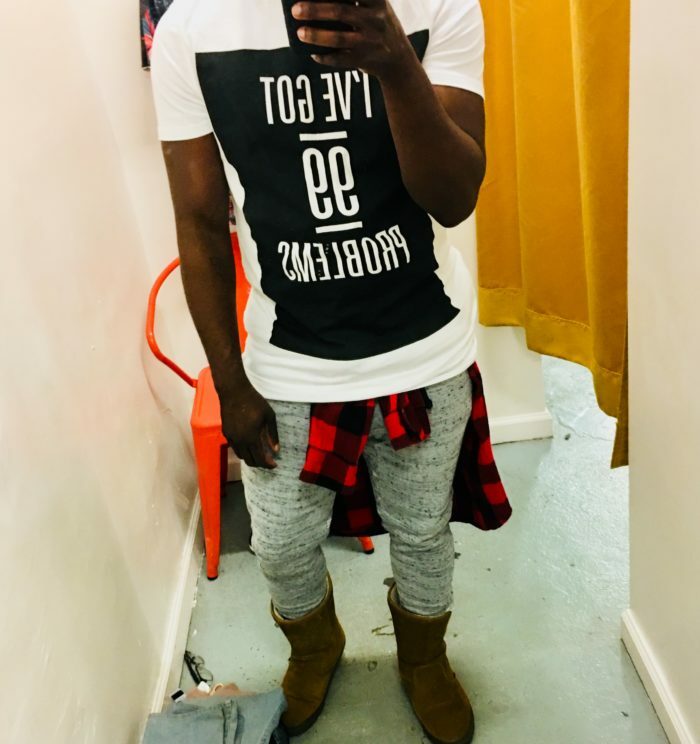 Fellas who want to step up their fashion game will find Buffalo Exchange less intimidating than a trendy boutique, and easier on the wallet than a mall store. Pro tip: Use a social network like Pinterest or Instagram to find outfits to recreate and modify. 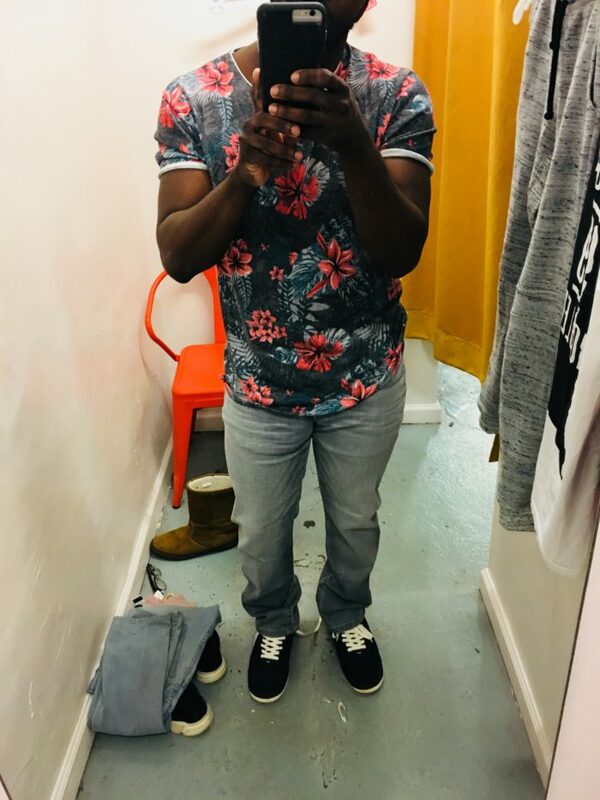 It’ll help you navigate through the racks of long-fits and high-tops to find a style that turns heads, whether you’re patio hopping on a Sunday afternoon, grabbing lunch with your boss, or emptying pints at a brewery. 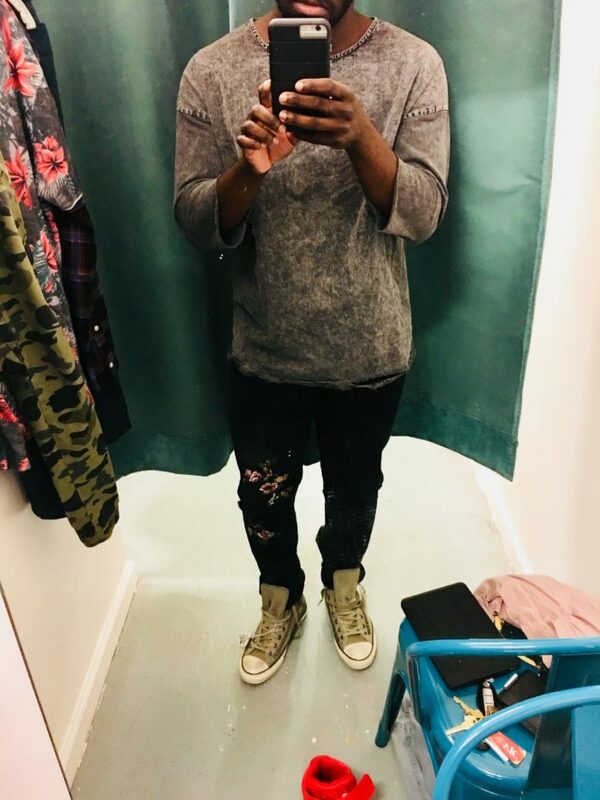 Check out these five styles you can create today at Buffalo Exchange, and how much each’ll run you. Now there’s some Instagramability that you don’t want to miss out on, guys.